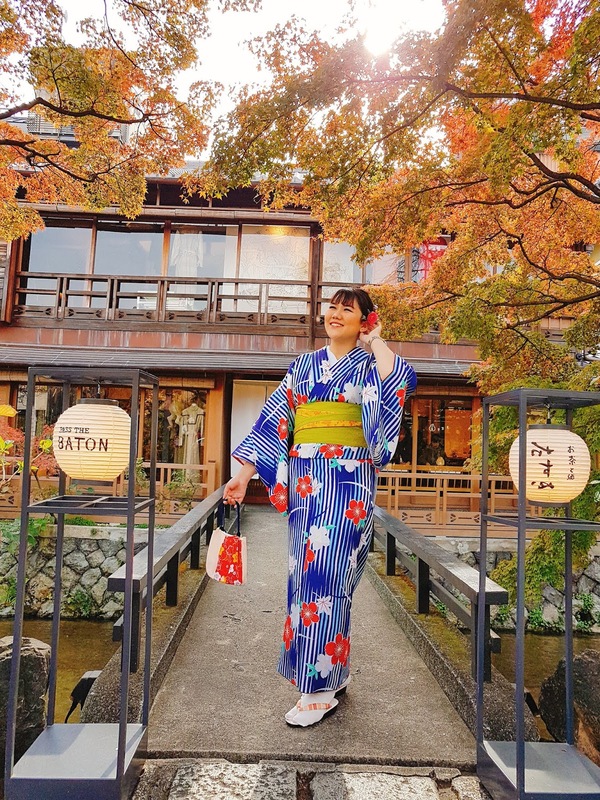 If you ever have a facial at a beauty clinic, after the beautician cleanse your face usually they ask if you want to get a face massage or sometimes they told us that they won't do the massage because it will make the acne more worse (my problem haha). Usually I'm doing face massage while applying my skin care using essence or emulsion because the texture is a little watery and this is my first time using product that specialy made for massaging your face which is Lafine Vegetable Firming Massage Cream. 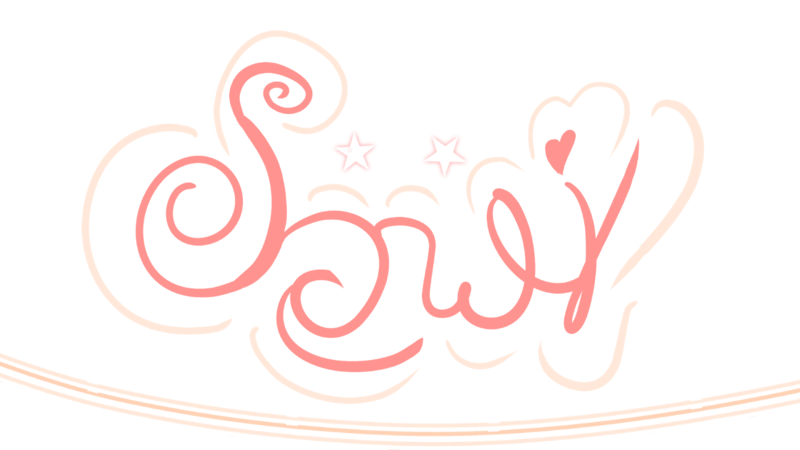 Face massage is really good for your skin because it will impove blood circulation in your face area, it will make your dry and dull skin to glowing and healthy. Face massage is also one of method to detoxifying your skin from polution and UV rays that could harm your skin. Another benefit of doing face massage, your skin care will absorb better and faster deep into the skin than just apply it without doing face massage. A lot of you must be asking 'what's the difference between using your usual skin care for face massage and with a massage cream? Well, using your skin care of course will give your skin all the benefits that contained in the skin care, same goes for a massage cream. Not only that, what I love about Lafine is all their products is free from Paraben, Benzophenone, Talc, Animal Oil, and Triclosan. Natural skin care is the best for you especially if you have sensitive skin. A bonus because Lafine products contents is very generous, will last for months hehe. Inside there's a spatula to take out the cream. The cream has slightly pink color on it accompanied with red and green beads, close enough to strawberry yoghurt, right? 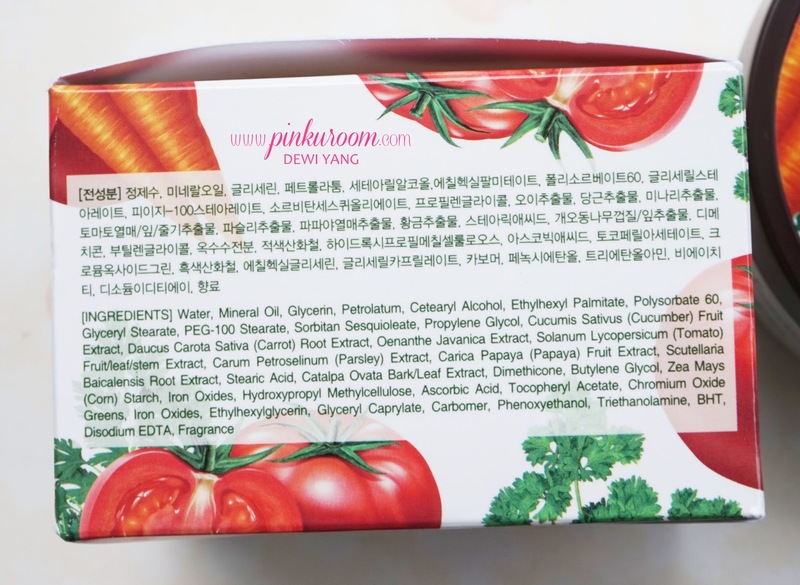 (or a tomato yoghurt? haha). Smells like fresh vegetables and it's refreshing. 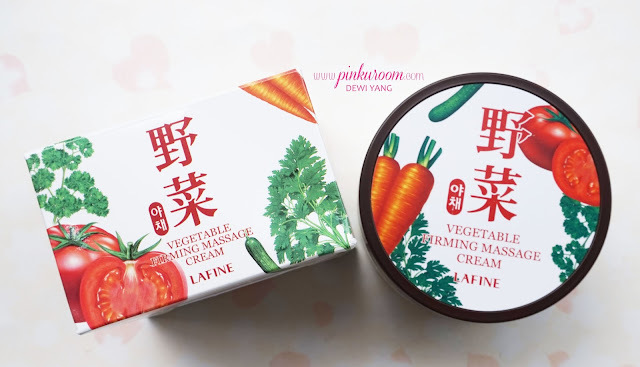 Lafine Vegetable Firming Massage Cream texture is a little dense and watery so it glides smoothly on skin and indeed really nice for face massage, it feels like all the dirts on my face and inside my pores are melting and go away. 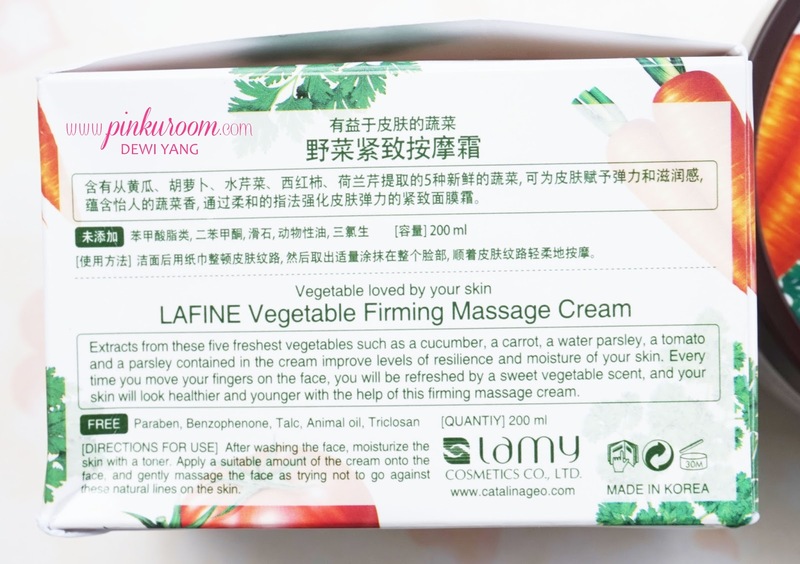 You can use Lafine Vegetable Firming Massage Cream after washing your face and apply toner without cleanse it, the cream will absorb to your skin and it feels really smooth and moisturizing, it doesn't leave any stickiness and I like it. After massaging I apply my skin care routine, my skincare absorb really well after a massage and my skin got more of my skin care benefits.